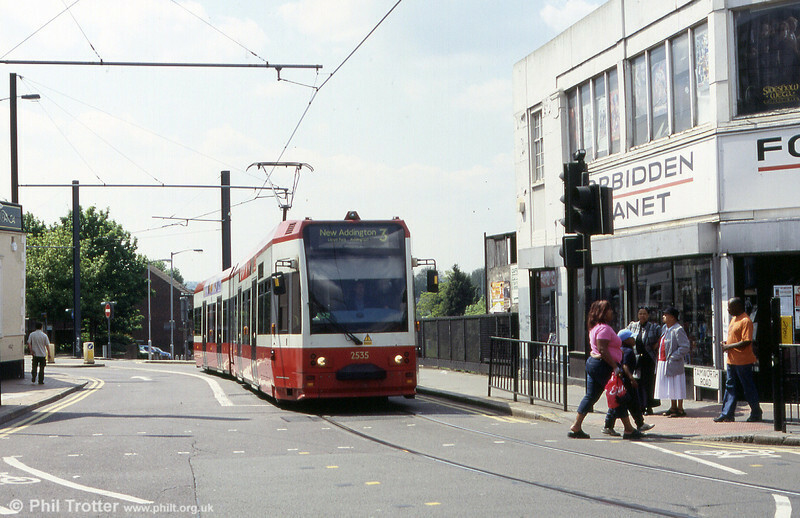 Trams returned to the streets of London after an absence of 48 years in May 2000. The 24 Flexity Swift cars were built by Bombardier, Vienna to a design similar to those supplied to Cologne. 2535 is seen in Croydon town centre on 15th May 2004.